This Fitness Confidential Book Review and giveaway post has been sponsored but all opinions expressed are my own. Life is full of ups and downs, with life and everything that is in it. For me my ups and downs have been with my weight. My husband is all over for fitness, he would work out all the time if he could. 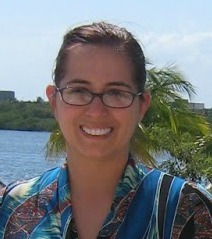 But for me, I need motivation, getting fit does not come as easy to me as it does for my husband. I have lost 40 pounds recently by cutting back eating less but healthier and exercising. I know starving yourself and all of these crazy diets out there do not work but you know hat does, hard work! I know I have more to go, but I know I can do it. I just have stalled and have not lost any more weight in a while, I want to lose weight, I do really but I need more motivation. I need someone to kick me in gear, get me out there and keep me moving someone like Vinnie, he may be Americas angriest trainer, but he gets the job done. I was able to check out a great new book Fitness Confidential that was very inspirational, and was just the kick in gear that I needed to get back into the swing of things with getting in shape and working out more. America’s Angriest Trainer, Vinnie Tortorich, exposes the nasty underbelly of the fitness industry while getting you into the best shape of your life. For over 20 years, Vinnie has been Hollywood’s go-to guy for celebrities and athletes looking to get fit fast. Now, in this hilarious and often r-rated memoir, he holds nothing back. What’s the best piece of fitness equipment money can buy? What’s the fastest way to lose weight: diet or exercise? Why are health clubs worse than used car lots? In FITNESS CONFIDENTIAL, Vinnie tells all. So get ready to get fit, get inspired and get the dirt with Hollywood’s most outrageous personal trainer! It seems like everyone is trying to get fit these days, we are all trying to eat better and change our lifestyle and get in shape. This was no ho hum boring fitness book where you lose interest in the first five pages, no not Fitness Confidential. This kept your attention, it is interesting, and sometimes racy but always a great read. If you are on demand in Hollywood as a personal trainer, you must be doing something good, in a town where looks are so important, they want the best and they want Vinnie. 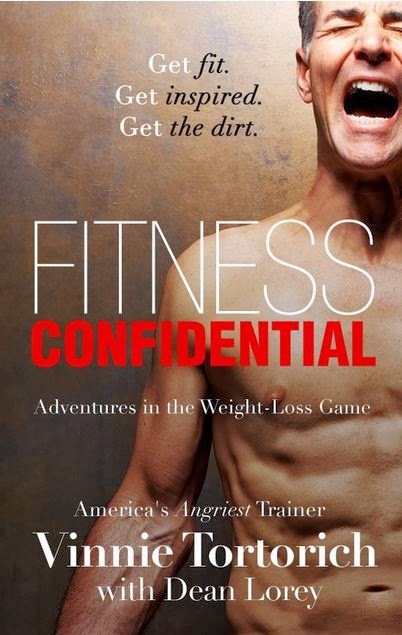 If you are a fitness lover, or just someone who wants to know more about the fitness industry, and read about a fascinating guy, Fitness Confidential is s book you are going to love. One of Susan’s Disney Family readers will win a prize pack from Vinnie, this pack includes a signed copy of the book "Fitness Confidential" and $25 Visa Gift card! Would you like to win? Please let me know, are you looking to get fit, considering a lifestyle change? There are also other ways to enter, please enter below. To find out more about this great author check out the inspirational, Vinnie Tortorich's website and the Vinnie Tortorich's podcast. Be sure to connect with Vinnie on Facebook and Twitter for more information. Disclosure: The reviews and or opinions on this blog are my own opinions . I was not required to write a positive review. Your experience may differ. The opinions I have expressed are my own I am disclosing this in accordance with the Federal Trade Commissions 16 CFR Part 255: Guides Concerning the Use of Endorsement and Testimonials in Advertising . I would love to read it! Thanks so much for the fantastic giveaway! My mom would love to read it! I would like to read this. I would really like to read it! I would love to read this one. I think my son would like the book. i think my co workers would like to read this book. It would be me who would read this book. please let me know who would love to read this book? This would be a no nonsense get to it book - thank you. I would love to read this book myself! My husband would love to read this! Do you mean besides me? My husband definitely would. My husband and I both would love to read it. I should read this book, I need a swift kick to get me exercising. i would love to read this book and i think my daughter would like it as well. My brother would love this. I would love to read it! Um, that would be me! My husband would love to read this book! I would love to read this because I love fitness books. I think me and my fiance would love to read this book!